It may not be something you’d think deeply about every day, but choosing the best interior house locks for your needs is one important decision you can make that will transform your decor and life. When everything opens when it should, stays locked when you want, and looks presentable, things just flow easier all around. Currently, I am going through the process of selecting new locks for all of the doors in my home. Some of the old interior locks do not latch properly, and one of my large dogs likes to “break in” the bedroom and lounge in bed. (It’s actually really cute, but my dogs have their own beds. I like to have a bed or two here just for human use haha). For some of the other locks, the finishes are kind of dull and worn, and overall they need an update; and on the pantry, I took off the dummy pulls to paint the door, and I don’t want to put the old ones back. I’m a pretty practical person by nature, so I want to choose locks that are going to last for years to come with little maintenance. Most average brand locks are fine and will do their job pretty well. Higher-end locks made of solid brass are going to offer a longer lifetime and are a sturdier, heavier piece of hardware, but they can cost quite a bit more. Manufacturers do generally offer a lifetime warranty on the parts and finish, but only if it’s due to their processes producing a lemon lock. Regular wear and tear isn’t covered, and with pets, I find it best to get all house materials as heavy-duty as possible just to be safe. I should note that for any lock, you have to follow the general product care recommendations to keep the finish looking new, and keep the lock free of dust and debris for both appearance and function. It’s also a balance between what you have to spend on a project and what you want to buy, so if I go with one of the pricier but sturdier locks, it may take a little more time to put funds aside for my project. 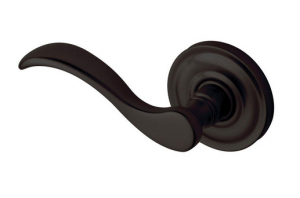 Depending on your preference and needs, you might lean toward door knobs over lever handles, or vice versa. 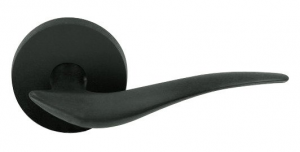 Lever handles are easier to open when your hands are full and you need to open the door with another body part, or if you have a physical limitation regarding mobility. You can push them with your elbow or just a finger rather than have to grasp and turn a knob. For me, I noticed that when I need to get in or out, my hands are usually full or I’m carrying something heavy. For example, I like to grab all the bags at once from the car after grocery shopping, and I also have to carry the laundry basket in and out. As much as I adore some of the knobs I found, I’m going to go with levers. One drawback is that pets have been known to reach up and open lever handles by pulling down with their paws, but mine only seem to get in the one room where the lock doesn’t latch and the door pushes open, so I don’t believe they have any intention now or in the future of learning that party trick. Looking to your home’s overall decor, is it traditional, modern, Zen? Or maybe it’s none of the above and you want to bring an interesting element to your space. 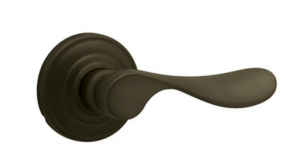 My idea is to get modern-looking locks with a few curves for sleekness with an oil rubbed bronze finish for a Southwest feel. I think they will go best with the rest of my decor, will be easiest for me to open and close, and the finish will be easy to maintain and should stand the test of time. I’m also being mindful of the fact that I’d like the screws to be concealed. Your priorities may be different depending on where you’re at, if you’re moving or planning to stay for awhile, or if you like to update your decor more frequently and want to try something new. The possibilities really are endless, and new locks are definitely a great way to bring a sense of security, style, and class to your doors and home. If you are considering changing locks at your home (or office), we can help you explore your options, make a selection, and install the locks. 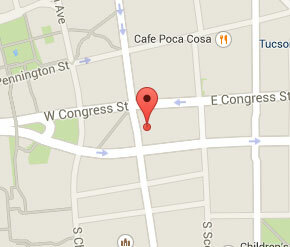 Give us a call (520) 299-0125 anytime.